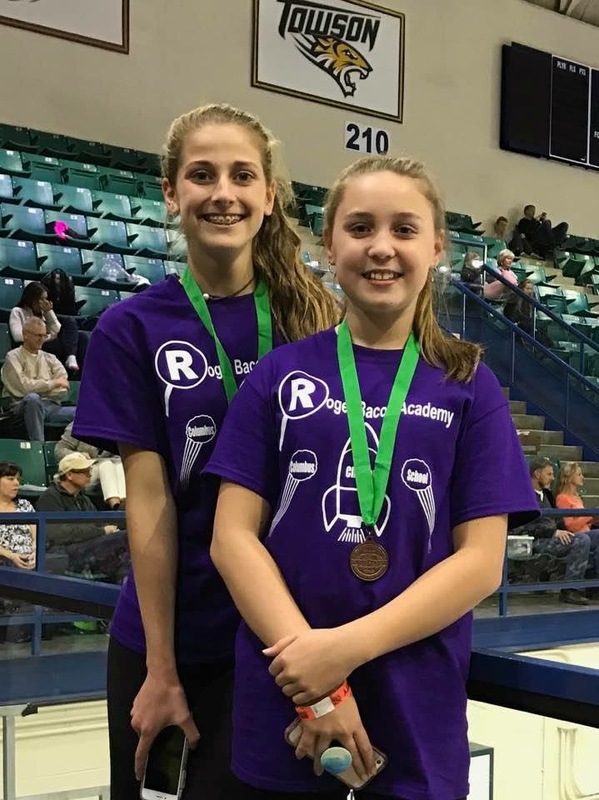 Columbus Charter School (CCS) middle school students competed in the regional Science Olympiad competition held at UNC-W on March 4th. This was CCS’s second year in the competition, and they placed in the top ten in two categories among teams from 40 other area schools, including Charter Day School, CCS’s sister campus in Leland. Teams from across North Carolina annually take part in the rigorous academic competition, which hosts 23 events in the fields of genetics, earth science, chemistry, anatomy, physics, geology, mechanical engineering and technology. CCS placed 5th in the Invasive Species competition, in which they were tested on their knowledge of North Carolina ecosystems. They placed 4th in the Optics competition in which they had to demonstrate detailed understanding of the physical properties of light and direct the beam from a stationary laser pointer to a target using only mirrors. “This is our 2nd year doing Science Olympiad and I’m impressed how well our students did!” said Patti Allen, 8th Grade teacher at CCS and head coach of the schools Science Olympiad team, “Most of our children are not only in the competition team for Science Olympiad but also in the Beta Club which takes a lot of work and time to participate in as well,” she added the CCS Junior Beta Club students’ recent competition at the state’s Junior Beta Convention earned them a spot in the National Convention at Disney World in June. “These are children that strive to do their best. They are already thinking of ways to improve in the events for next year. I am extremely proud of each of our competitors and look forward to bringing more ‘bling’ home to CCS!” Allen said. Patti Allen is joined by fellow teachers Allie Parker and Sarah Gardinor as coaches for the CCS Science Olympiad team. Congratulations to all participants, coaches, and families! CCS is a K-8 tuition-free public charter school in Whiteville. As public charter schools have the freedom to offer alternative curricula to state-mandated educational programs, CCS opts to provide a unique classical curriculum. CCS currently provides both the top-scoring elementary and middle schools in Columbus County on state End-of-Grade tests. Charter Day School is located in Leland and offers an identical educational program to that at CCS and also provides the top-scoring elementary and middle schools in its county—Brunswick— on End-of-Grade tests. The educational program in place at both schools is provided by The Roger Bacon Academy, Inc. (RBA), an educational management company that provides curriculum, support, and administrative services to public charter schools. The RBA family of schools also includes Douglass Academy in downtown Wilmington and South Brunswick Charter School in Southport. All four schools in the RBA family are enrolling students for the upcoming 2017-2018 year on a first-come first served basis. All schools are tuition-free, public, and offer a classical curriculum which, among other things, includes Latin and Cursive. For more information, please visit www.enrollRBA.com.